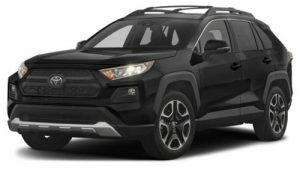 Cabe Toyota dealership near Los Angeles currently offers Toyota specials, including finance incentives and car lease deals on new Toyota Camry, Corolla, Avalon, Prius, Yaris, RAV4, Highlander, 4Runner, Tacoma, Tundra and Sienna. Toyota incentives and special offers near Los Angeles also include cash back car deals to help save money on a new Toyota. Certified used Toyota vehicles are available, which include an inspection to certify the mechanical condition of CPO cars for sale. Our Toyota dealer accepts vehicle trade-ins to help you buy a car. We also provide expert auto service and repairs at our Toyota dealer in Los Angeles County, including oil change, filters, battery, new tires, wheel alignment, tire rotation, new brakes and engine repair. You can also find a variety of genuine Toyota parts and accessories for sale.